In honor of me turning 30, I’m making mix CDs of my favorite songs from each of my 30 favorite musical artists/groups. Read the introductory post for more background information on my 30 at 30 project. Reminder: there is no scientific rationale for this list. They’re simply my personal favorites. 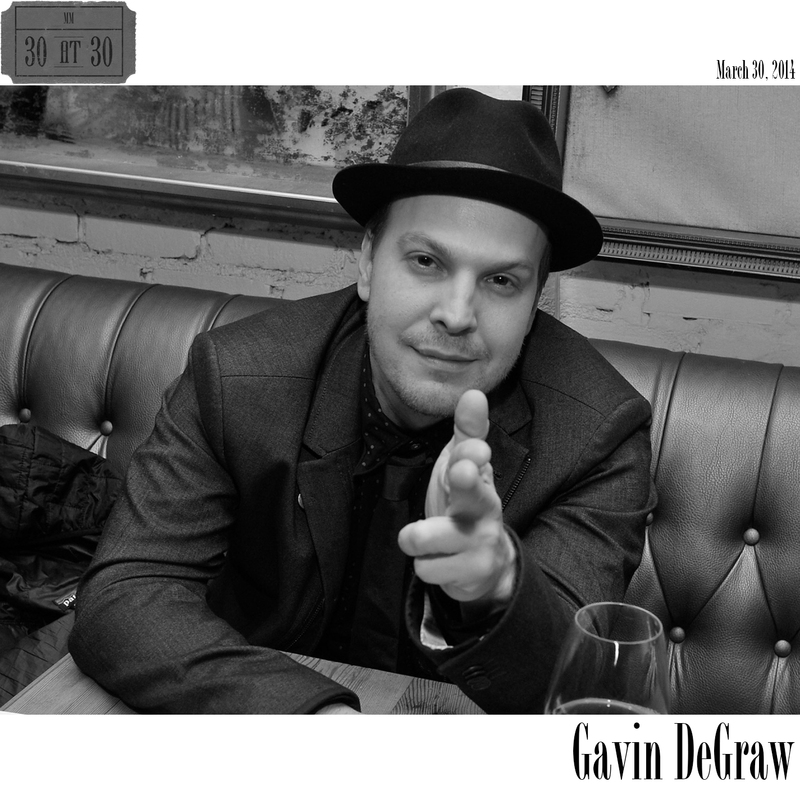 Coming in at number 22 is Gavin DeGraw. Gavin DeGraw released his debut album Chariot in 2003. That was an influential year for me. I graduated high school and began college in 2003. I attended my first ever concert (Counting Crows) in 2003. I also met my future wife in 2003. We worked together at Giant Eagle. Discussing our musical interests was one of the first connections we ever made. In 2004, DeGraw re-released Chariot with a bonus disc called Chariot Stripped, featuring “stripped-down” studio recordings of all of the original songs. When I purchased Stripped, I was left with an extra copy of Chariot, which I gave to Jessie. Even before we had romantic chemistry, we shared a friendship built, at least in part, over a shared love for music. That Gavin DeGraw CD was one of the first of many musical gifts we would exchange over the years. Chariot and Chariot Stripped combined to land nine tracks on my Gavin DeGraw compilation. In my opinion, DeGraw has never been quite as good as he was on his debut. “I Don’t Want to Be”, the first DeGraw song I ever heard, which was also the theme song from the television drama One Tree Hill, is a powerful song of self-affirmation. It’s message of being proud of who you are and where you come from is one that anyone can relate to. “Follow Through” has landed on three different Matt’s Mixes throughout the years at pivotal turning points or moments in my life, including the soundtrack that commemorated 4.15.05, the unofficial start of my relationship with Jessie. “More Than Anyone” is a great, straightforward love song promising to “love you more than anyone.” But perhaps my two favorite songs from Chariot Stripped are “Meaning” and “Belief”, both of which tie in the spiritual connection to love. DeGraw’s follow-up to Chariot was his self-titled album in 2008. “Young Love” and “In Love With a Girl” both made the cut for the compilation, the latter of which has more of a traditional pop-rock vibe. DeGraw, like Howie Day, writes songs that are generally right in my wheelhouse in terms of singability. Between his tie-in with One Tree Hill and regular appearances on the Ellen DeGeneres Show, DeGraw’s inclusion on my 30 at 30 list isn’t likely to score me a lot of points in terms of street cred. However, as I’ve said from the beginning, this is my list. Besides, anyone who knows me knows that I’m a lover, not a fighter. So, while I don’t always wear my heart on my (album) sleeve, if you look closely, you can usually find it written in the liner notes.